Sadly, this is no April Fools joke. 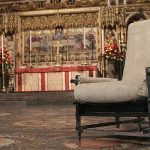 Ronnie Corbett, the co-star of The Two Ronnies, one of the most successful and long running light entertainment shows on British television, has died at the age of 85. At its peak, over 17 million viewers each week watched the legendary sketch comedy show, which ran from 1971-1987 on BBC One and featured the writing talents of John Cleese, Eric Idle, Michael Palin, Terry Jones, Spike Milligan and David Nobbs among others. 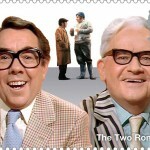 Vowing to himself to ‘give up show business entirely’ if he hadn’t made a go of it by the age of 37, thankfully, Corbett struck gold landing a place on David Frost’s satirical comedy, The Frost Report, which introduced the likes of Corbett, Ronnie Barker, John Cleese and others to television. 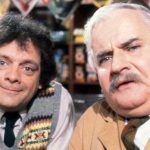 It was here he first worked with Barker, although they had met before, and formed the duo whose TV sketch show became a British TV classic, regularly cited both by the public as one of their favorites and by other comics as a big influence on their careers. Over the course of 12 series and 93 episodes, there were brilliant sketches too numerous to mention. 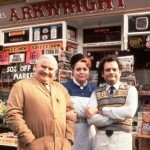 One that immediately comes to mind sees Barker trying to buy ‘four candles’ from shopkeeper, Corbett. Following The Two Ronnies, Corbett starred as Timothy Lumsden, a librarian who still lived at home with his domineering mother Phyllis and henpecked father Sidney in Sorry! With his television fathers words of “Language, Timothy!“probably still ringing in his head, Corbett stuck true to his values and continued doing what kept him in the business for over 50 years – clean comedy. He always felt that while there were roles here and there over the years, he saw nothing like the success of these two series, which is a shame as Corbett was a genius. Over the years, he felt his lack of roles were a direct result of a new generation of comedians that are not only interested in just shocking audiences or trying to be clever, but a new generation of comics that are “genuinely not funny and don’t have a feel for comedy”. Back in 2010, Corbett returned to the BBC for an aptly titled, one-off special, The One Ronnie, which starred James Corden, Rob Brydon and Miranda Hart. 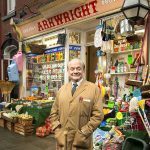 The British comedy legend sat down for an exclusive one-on-one interview with English freelance writer and journalist, Adrian Peel, to talk about his comedy beginnings, the 2005 death of his dear friend and professional partner, Ronnie Barker, and the state of comedy today. 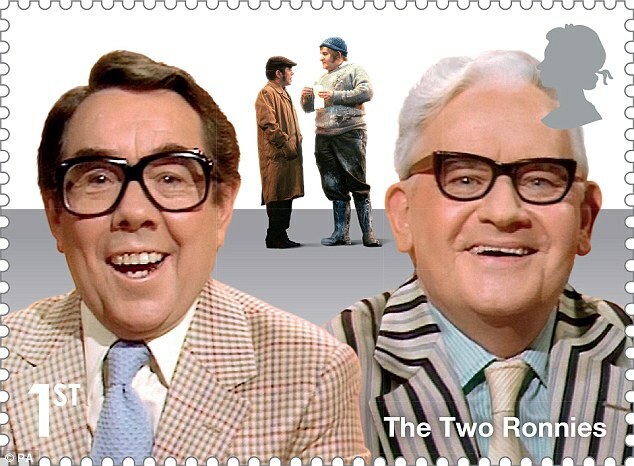 In what has increasingly become the age of more and more communication via texts, Snap Chat, email and FaceTime, the archaic practice of sending snail mail got a bit more fun exactly one year ago when, on 1 April 2015, Royal Mail released a new set of stamps celebrating Britain’s comedy greats, including The Two Ronnies, Ronnie Corbett and Ronnie Barker. 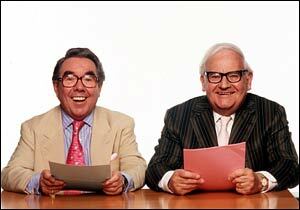 Ronnie Corbett: So it’s “Goodnight” from me. Ronnie Barker: And it’s “Goodnight” from him. 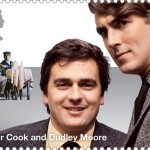 It’s no April Fools joke as Royal Mail celebrates the greats of British Comedy!